Wood Portable Storage Buildings Plus! Q. Do you offer building plans for sale? A. No, we do not have plans for sale. Q. Do you offer building kits for sale? A. No, we do not have kits for sale..
Q. Do you offer financing for buildings built on-site? A. No, customers must arrange their own financing. Q. How long are Proposal prices valid? A. These prices are valid for 15 days beyond the Proposal date. Q. Do you service areas beyond metro Atlanta? A. Yes, we service Atlanta and most Georgia. Q. Are there any restrictions for installations beyond metro Atlanta? A. Outside metro Atlanta, check out this information. Q. What is the warranty on buildings constructed on site? A. Check out our warranty page. Q. Is there a warranty on shingles and siding? A. These have a limited extended manufacturer's warranty. Q. 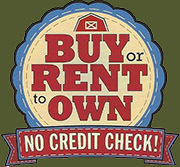 Do you offer financing on Rent-to-Own (RTO) buildings? A. The manufacturer provides their own financing. Q. What is your service area for RTO buildings? A. Our RTO service area is restricted to a 50-mile radius from our lot. Q. What is the warranty on pre-manufactured RTO buildings? A. These buildings come with a ten-year limited warranty on workmanship. Q. Do credit card purchases have a surcharge? A. Visa and MC purchases have a fee of 3% and Amex of 4%. Sales and promotions only apply to the metro Atlanta area. All prices are subject to change without notice. All sizes are approximate.